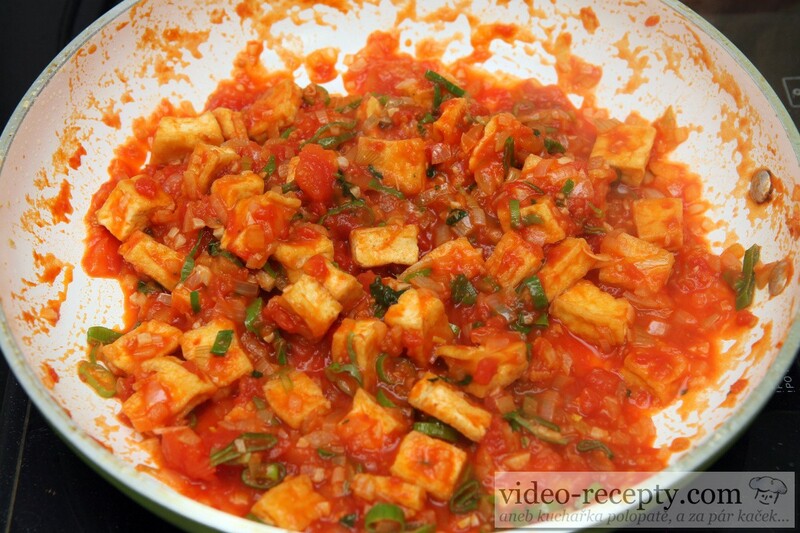 Tomato tofu begins with slicing tofu into cubes 3 x 3 cm. 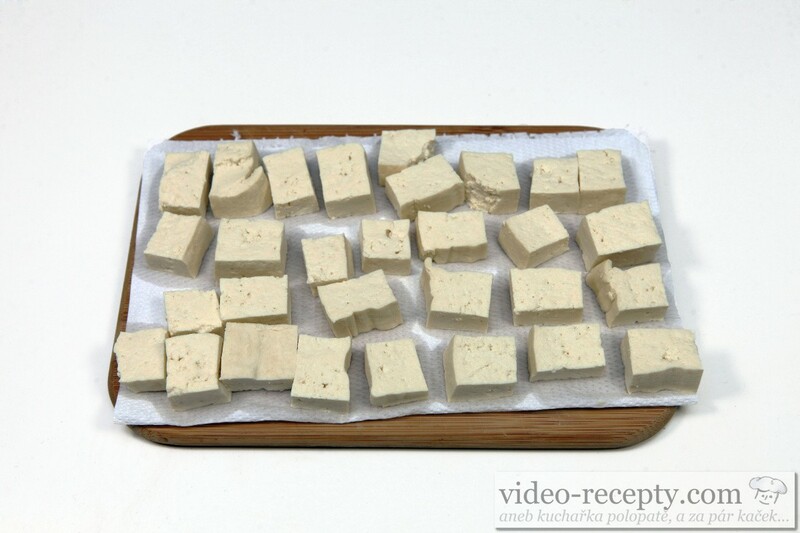 Since tofu is stored in water dry it well, best paper towels. 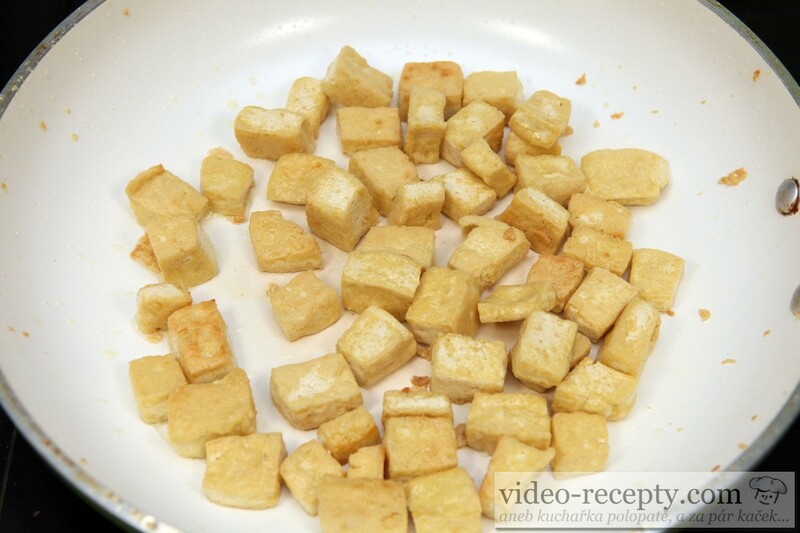 In a pan pour 3 tablespoons of oil, fry until golden brown at 120°C . Be patient. In the beginning the cubes are quite fragile, but gradually begin to stick together nicely. It will take about 12-15 minutes , but if it still does not feel right, add a few minutes. 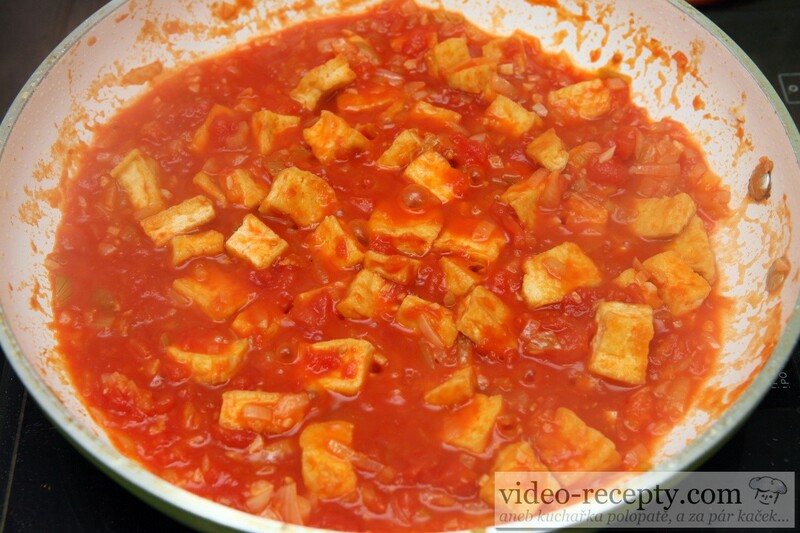 Put the cubes aside and in the pan pour a tablespoon of oil . 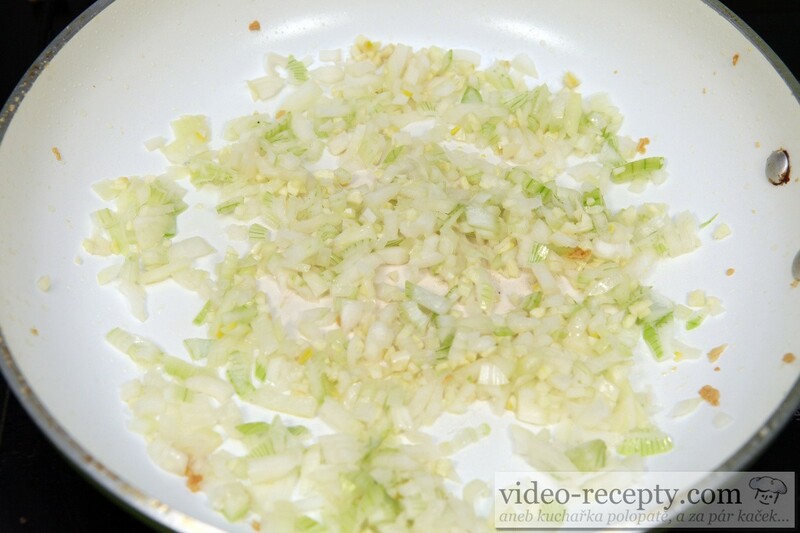 Fry the finely chopped onions along with garlic, which is cut into the tiny pieces . 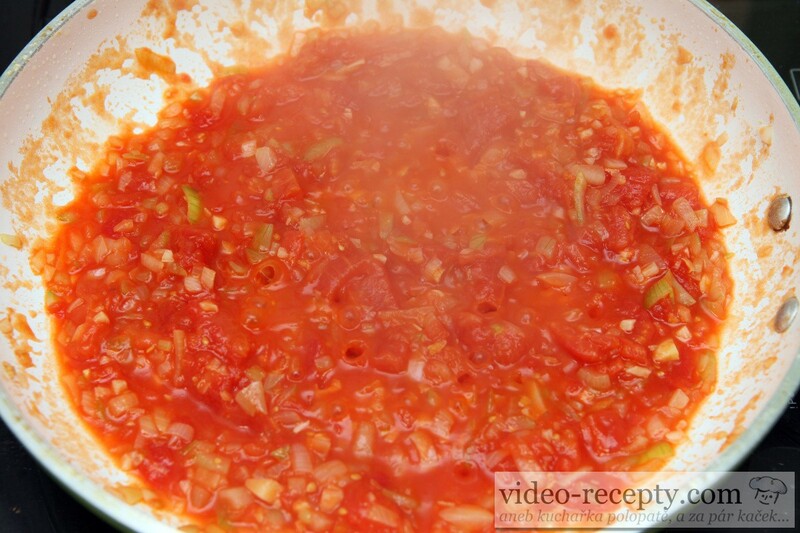 Fry for about 3 minutes and then pour peeled tomatoes . 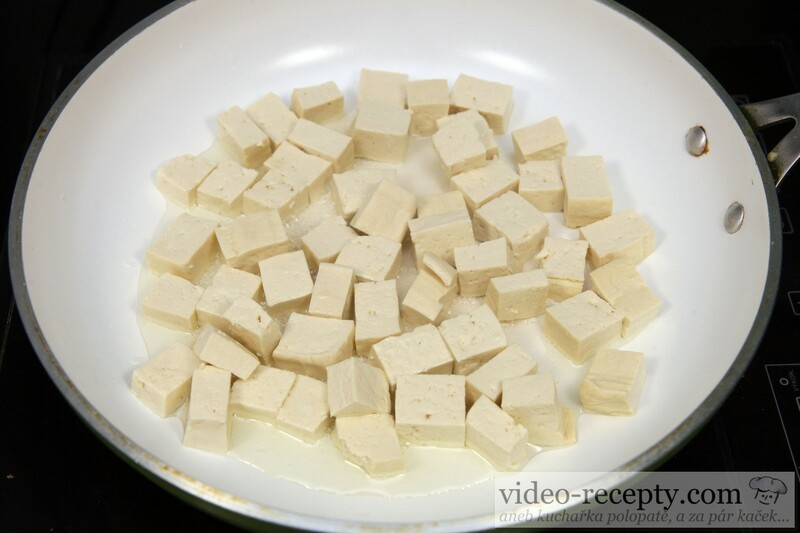 Add about 1/3 teaspoon of salt , fried tofu and 100 ml of water. 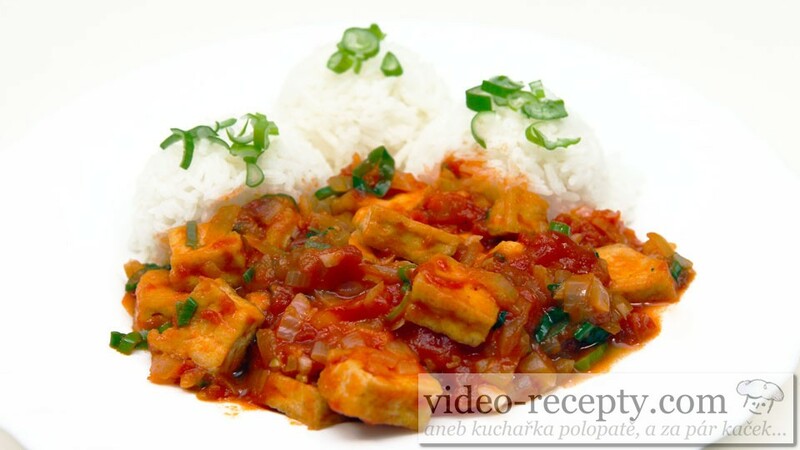 Cook while stirring occasionally for about 10 minutes. If there is only a little water , then pour some more. Finally, stir in 20 g of spring onions and the dish is ready. The most important ingredient in this recipe is a sausage. 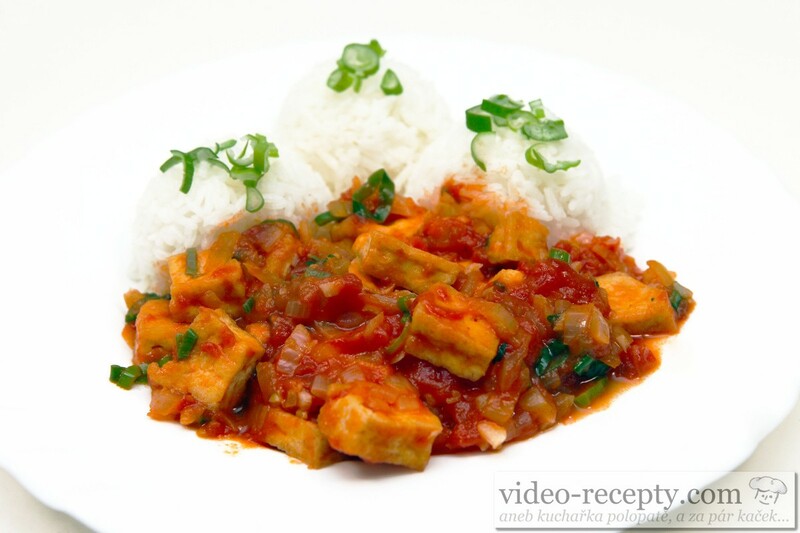 If you use poor quality chicken sausage, the result will not be as good as if you used a good quality sausage. Probably the best is to serve with potatoes.